This reservable shelter features an enclosed shelter with wood-burning stove, refrigerator, stove, electric, tables, grills, flush restrooms and an attached open-sided shelter with two picnic tables. 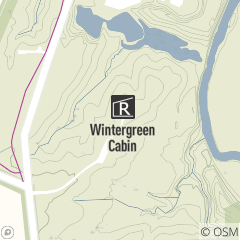 Wintergreen Cabin is located at the intersection of Eastland and Fair Roads, north of Albion Road in Berea. Monday - Friday, 8:30 a.m. -- 4:30 p.m.